This is part 4 of a 5 part series. Read part 1, part 2, part 3, part 5. Professor Glen Arnold: I am. Last week, I wrote a lot of newsletters because I shorted the Dow Jones Index. And I actually make my reasoning in terms of very high debt levels in the United States and very high debt levels, worrying non-bank finance in China. And so I am very concerned. I don’t know where the trigger is going to come from. Because these debt levels are all set in context of the American market never ever being this high except in 1 year and that was in 1999. It is currently higher than it was in 1929. But the measure I am using to define high is the cyclically adjusted price to earnings ratio, 10 year earnings relative to the current price. And it was lower in 1929 than it is today, the cyclically adjusted price to earnings ratio. It is currently at 34, 35, probably 35 now and you just don’t see this except just before an [asset bubble/meltdown]. And I don’t know where the trigger is going to come from. We didn’t know where the trigger was going to come from in 2008. We didn’t know where the trigger was going to come from in the Asian Crisis in 1997. And so on. We don’t know. So in order to protect my portfolio, I have shorted [the Dow Jones index]. Kingsley: Have you ever thought about protecting your portfolio in another way by buying into gold mining companies? Professor Glen Arnold: No I would never buy into gold mining companies. Mark Twain said a mine is a big hole in the ground with a liar standing at the top. 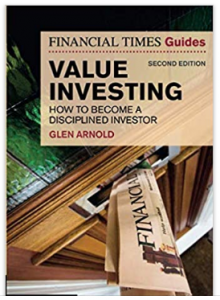 Professor Glen Arnold: So I don’t know what value there is there. I was over in Omaha in May. I got a talk over there at value investing conference. I went to the AGM, the meeting at Berkshire Hathaway. And Warren Buffett was asked the question: Do you invest in gold? He said: No gold is not an investment. Gold is not an investment because it does not produce anything. You can buy loads and loads of gold. You can buy all the gold in the world and put it in a big vault. And once a year you might go down to that big vault underneath your house and rub it and feel it and think how wonderful it is but it is not producing anything. Investments produce something. So an investment is a farm. A farm produces food and increases human wellbeing. That is an investment. A house produces something useful. That is an investment. An office block produces something. And a company that produces goods, whether that be books or electronic goods, it produces something. So if you buy shares in a company, you are investing to, [according] to Benjamin Graham’s criteria of investment of course, it is something that is actually going to produce a tremendous amount of value [Inaudible]. Now Warren Buffett in May talked about what if in 1943, I invested in gold. And he said how much would that gold be worth. I invest a $1000 in gold. I can’t remember exactly what he said. He said well $40,000 or something like that. If I invested the same $1000 in this broad selection of American shares in 1943, how much would that be worth? Many millions. Many millions. Because…he actually had very precise numbers, if you look at the transcripts. Well, I wrote them up on my newsletter by the way. All of these people can read. I have got 700 newsletters by the way. You can go back and read these documents. So you made so much money if you invest in something productive rather than something like gold. There is only one circumstance where I would invest in gold and that is if there was going to be a major war, probably a nuclear war in the northern hemisphere and I would probably invest in gold so that I can get across the border in the southern hemisphere. That will make sense. But even then I might buy New Zealand dollars instead. Kingsley: I was just thinking about one of your modified price to earnings ratio stocks called BHP Billiton. You bought it at a very low CAPE, I think of around 3. Professor Glen Arnold: I will take your word for it. You probably read up on it. Kingsley: Yeah, I did some reverse engineering. I was just wondering did you have a view on the iron ore prices, the commodities it was actually producing. Professor Glen Arnold: Ah no. That is the important point of the analysis. What I did was … it was about 3 years ago. And everyone was depressed about miners at that time. Having said that mining companies, there is a liar standing on top of the big hole. With the big mining companies that produce something solid and useful like iron ore, copper and all the other minerals, coal and so on, you have got something of value, you have got diversification. It is not just one hole in the ground.There are lots of holes in the ground. And they have got a proven record of generating earnings with these holes in the ground. So what I did was look at 10 years of earnings. So I bought it at a low cyclically adjusted price to earnings ratio. And then I asked myself the question. What happens if the price of iron ore falls further and the price of copper [Inaudible] falls further? Who is going to be left standing? And the people who are going to be left standing are the lowest cost producers because the world will always need some iron ore and some copper and who knows eventually, demand might pick up tremendously and go back to where it started in terms of prices. But I have got to look at the worst case scenario. So who will still be producing iron ore and copper if prices halved again? They have already come down a lot. What if they halve again? So you have to then investigate all the competitors or a number of competitors. And find out … because each hole in the ground produces iron ore at different levels of efficiency. It is very cheap to get iron ore from the  region of Western Australia. It is very expensive to get iron ore from other places. So there is a very important statistic that iron ore producers, copper producers use which is the cost of getting a ton of iron ore to the customer, digging it out of the ground, putting it on the railway line, putting it into a ship getting it say to China. So you look at that statistics for all the competitors and you will find that some of them have a cost that is about the same as the world price was at the time. So if the price fell more, then they will go bankrupt. 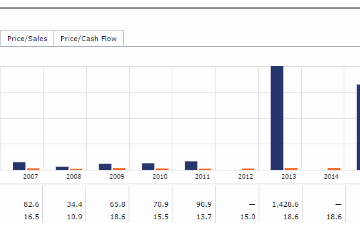 With BHP Billiton, if the price halved, Billiton would still make a bit of profit. Not much but still a bit of profit. And the fact, it’s economics 101 again, the fact that the other companies are going bankrupt changes the demand supply equation. With BHP still standing, then prices would start to rise because the other companies have exited the industry, I might do alright. Kingsley: Ok. That is a very very interesting thesis. You didn’t care about what… you didn’t actually predict that the [iron ore and copper] prices were going to go up. But you were actually protecting your downside. Right? In a sense, you were looking at the downside and you were asking questions related to the downside instead of the upside. So that’s what Walter Schloss would have done as well I would say. Professor Glen Arnold: Yup. Otherwise, I was speculating on where I thought iron ore prices were going. If I was investing thinking to myself iron ore prices must bounce back because I had done some chart analysis or something like that or if I had analysed iron ore prices for the last 50 years, that would be pure speculation putting value on my hope that iron ore prices will go back up … I didn’t need to do that. I have to look after the downside and maybe, maybe things will turn out well. If I did that and demand picked up again, recession ended or demand picked up again and it did. Kingsley: Wonderful wonderful. You must have made quite a bit from BHP. Professor Glen Arnold: Yeah yeah. I think it was up… I think I made about 70%. Professor Glen Arnold: Do you see how the logic of each investment is different? Professor Glen Arnold: I bet you the number of cases of this … and you never do anything mechanically. You never do a formula. What you have is a formula for filtering out 99% of the companies. When you get that 1%, you then have to look at what are the drivers behind the value of the company and what might change in the future for that company. So each one is unique even though you have used a set of steps to get to that 1% of those [Inaudible]. Kingsley: I was just wondering would you consider investing in other countries besides the UK? Professor Glen Arnold: At the moment, no. Because it is beyond my circle of competence. Now I can do BHP Billiton because that’s a big international company. But I wouldn’t understand …For instance, I have got a very good friend in Malaysia who is a very successful investor who is worth a lot of money. Kingsley: Mr Koon Yew Yin? Mr Koon Yew Yin? Professor Glen Arnold: Yes yes. He is an old friend. Kingsley: How did you get to know him? 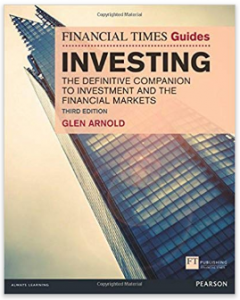 Professor Glen Arnold: Well he read my book Value Growth Investing, The Financial Times Guide To Investing. He read that about 12 to 15 years ago. He said that…he wrote to me and said that he found that really valuable. He wished that he had that in the beginning of his investing career, that he would have done it better. So then after that, he invited me to come over the Malaysia to do some lectures and he and I did some lectures together around Malaysia. Professor Glen Arnold: And we are still very good friends. He is a lovely man. Anyway what topic were we on? Oh yes. He once asked me to invest in a palm oil company that he was investing in, or once asked me to analyse this palm oil company. But it is a Malaysian palm oil company. And I felt I didn’t know the environment sufficiently well. The business environment. There’s little bits and pieces of culture, of the way which business is done which I don’t fully understand in other cultures. And you should not step outside your circle of competence. The other reason is I simply don’t have the time because each of my investments require so much time. I have got plenty of very good investments to go for in the UK. I can’t possibly spread myself so thinly that I am looking at twice as many or three times as many companies because I will not do as good a job analysing any one particular company. So at the moment no. Having said that I have got shares in Berkshire Hathaway. But that is a simple one to decide. Kingsley: Ok ok. Alright alright. So you also wrote a paper on financial statement analysis and the return reversal effect. 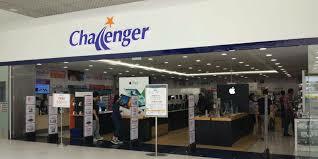 You described buying some of these ‘loser companies’ with high L-score. Could you to elaborate on that? Professor Glen Arnold: Yes. It developed out of 2 pieces of work. Earlier I had written a paper on return reversal. 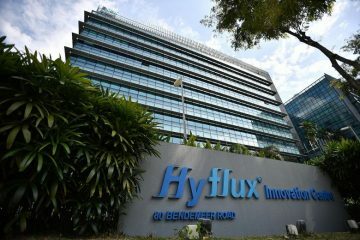 And this is the phenomenon of finding those companies that have performed the worse on the stock market, the worse 10% or the worse 5% of the companies over the previous 5 years, finding that over the next 5 years, [Inaudible] over the next 5 years, they outperform those companies that previously performed the best. The way we did the research was we went all the way back to 1960 UK shares, and imagine that every January, 1960, 1961, 1962 and so on, we took all the shares in the market and we measured their performance for the previous 5 years. So right at the top you have got share number 1, it went up 10 fold let’s say. Then the next one went up …. I don’t know… say 9.5 fold. And you go all the way down, down and down and down and you get right at the bottom share and [the 2000 shares or the 1000 shares I am investing in] then they had gone down 99%, 99.9%. Ok so you do that for January 1960. Then we split those up…once we got that all in order … we split those up into what you call deciles. The top 10%, the next 10% so on all the way down. And then we imagine following through over the next 5 years, buying into each of these portfolios. And we did this every year for 39 years. Then we average through the subsequent performance of each of these groups. So we found that the loser ones, the ones that had gone down the most, 10% of the shares that gone down the most , outperformed the stock market subsequently by 15% over the next 5 years. And the ones that had gone up the most over the previous 5 years, then over the next 5 years underperformed the market by 15%. That’s what we call return reversal. And it is to do with psychological [Inaudible] overreaction that is companies that have done extremely well get over priced because people are very excited about them. Kingsley: Do you use that actually? Did you know that it took 40 years for Warren Buffett to amass a wealth of $100 million? 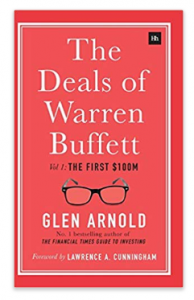 Professor Glen took time painstakingly studied the deals of Warren Buffett in his formative years as an investors and includes many key insights other books may have missed. 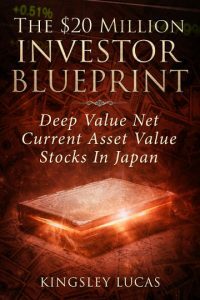 This book was originally published as Valuegrowth investing. 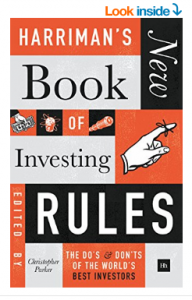 If you’d like to learn how to beat the markets, this book is a great investment. 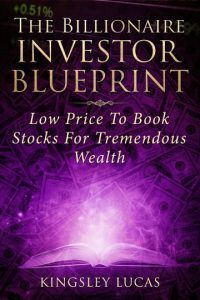 If you want to know how to start out investing, I suppose this is the book that you can look towards to get you started on the basics of not just equity markets, the debt markets, derivative instruments such as options and also basic accounting as well. This book is a shared project by Professor Glen and others. 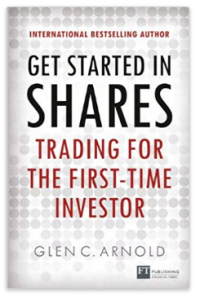 And another great book for getting started in investing in shares for the amateur investor. Professor Glen writes nearly daily but publishes his articles every week for readers of his newsletter. In his blog, you get an introductory glimpse in these articles. You can see more at the link below. For more of Professor Glen’s wisdom on real time stock considerations, you could subscribe to his newsletters at ADVFN, a data service provider. In his newsletters, he talks about his current stock picks and includes many case studies on companies that had once been purchased by Warren Buffett. I suppose if you are short on ideas and want an expert’s opinion on what to buy, this is the place to be. 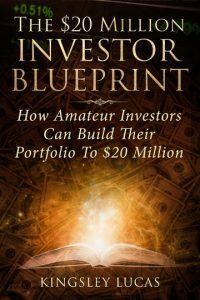 Also, he has written such a great number of articles over time that getting access to them seems to be a good idea to get started in investing. 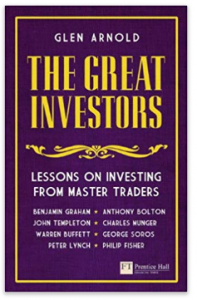 If you truly want to know what works in investing, this is one of the better places to be. More importantly, you also get a chance to interact with Professor Glen on ADVFN. Do click on the links below. 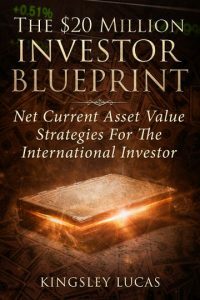 These books which I have written are case study driven and discuss strategies, mindsets and situational approaches to employing the net current asset value strategy.